Elephant Embellishments (sometimes referred to as “the embroidery sisters”) is an embroidery school for professionals and hobbyists interested in fashion, theater, and art tambour and needle embroidery. 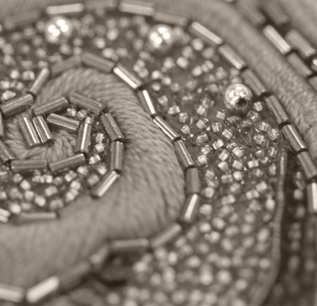 Tambour, also known as crochet beading, broderie de lunéville, or French beading, uses a small crochet hook to apply the threads and beads with a chainstitch. 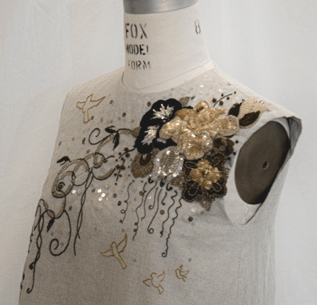 We offer workshops and short courses in beginning and intermediate level embroidery. 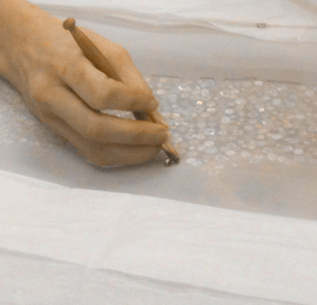 These classes cover beading and sequin work, as well as needle techniques and dimensional embroidery for textiles, garments, and costumes.